This All Condos For Sale & For Lease section provides a powerful search tool to review EVERY condo available for sale or lease in a specified building or area. 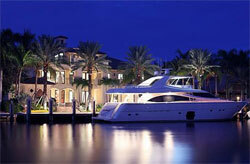 Condos are grouped under headings such as Las Olas/Riverwalk, Beach, Intracoastal, Oceanfront, etc. First, click on the underlined condo building to see every listing in the building. Select the condo unit of interest and then click “Property Details”. Now you can select “Request More Information” for a personal email on this property, or click “Schedule a Showing” and a Condos & Castles Real Estate agent will contact you to confirm your requested date and time. Click the link below and please be patient while the condominium details are being loaded. CONDOS & CASTLES real estate agents and staff are here to help you select a luxury Condo or Residential property perfectly suited to your lifestyle.